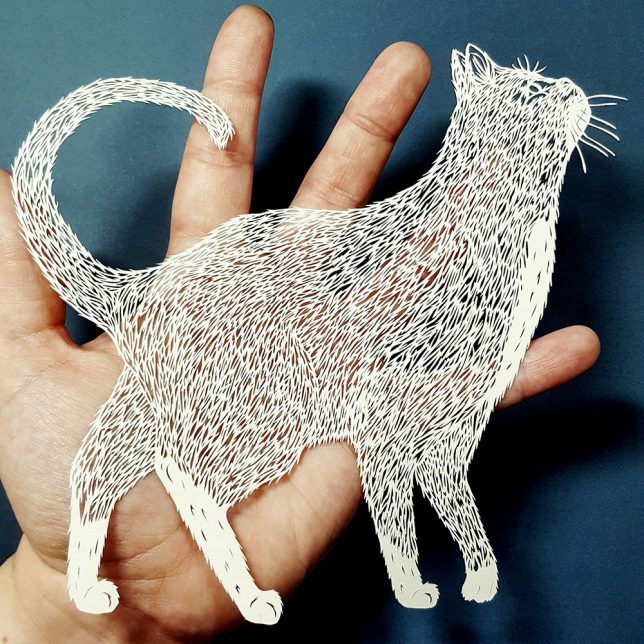 Hand most people some paper and an X-acto knife and ask them to make art, and at best, they’ll produce some cartoonish shapes spattered with blood. 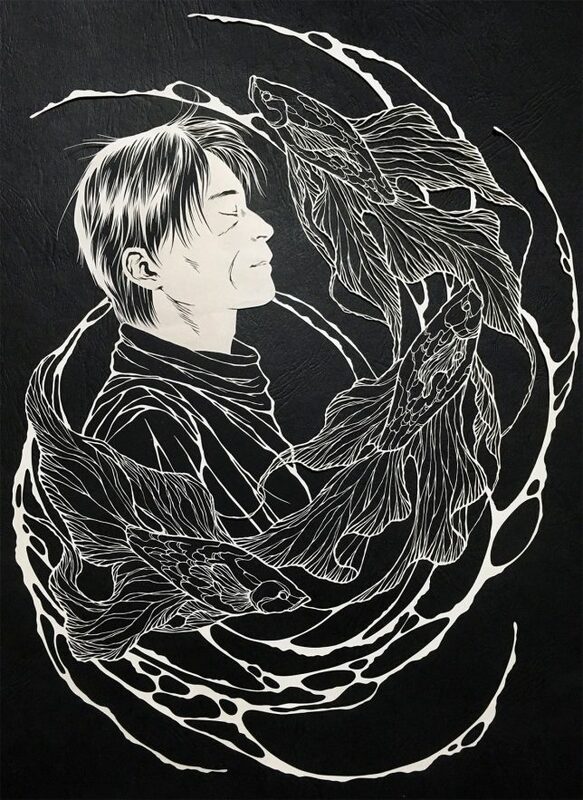 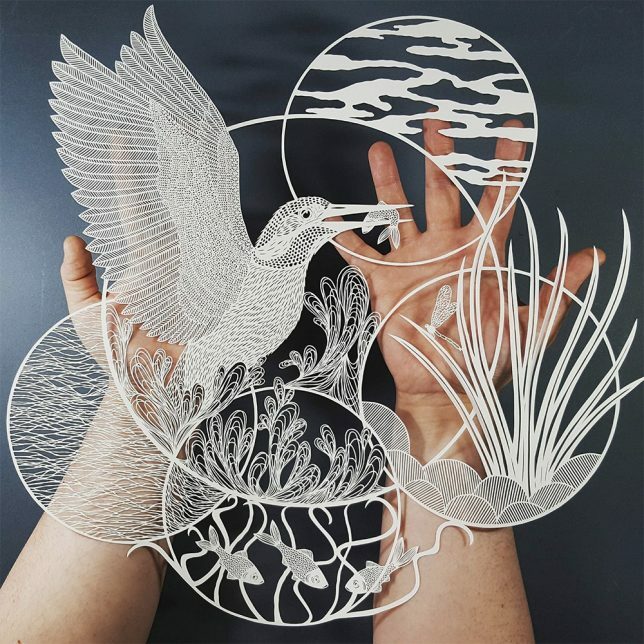 But these twelve artists are producing some of the world’s most impressive papercut art, whether by laboring over astonishingly intricate tapestries for months at a time or making use of clever minimalism for a surprisingly big impact. 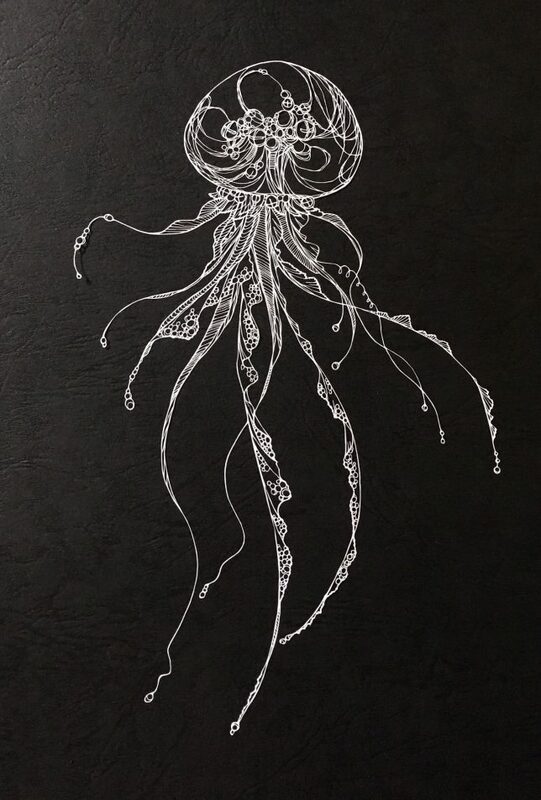 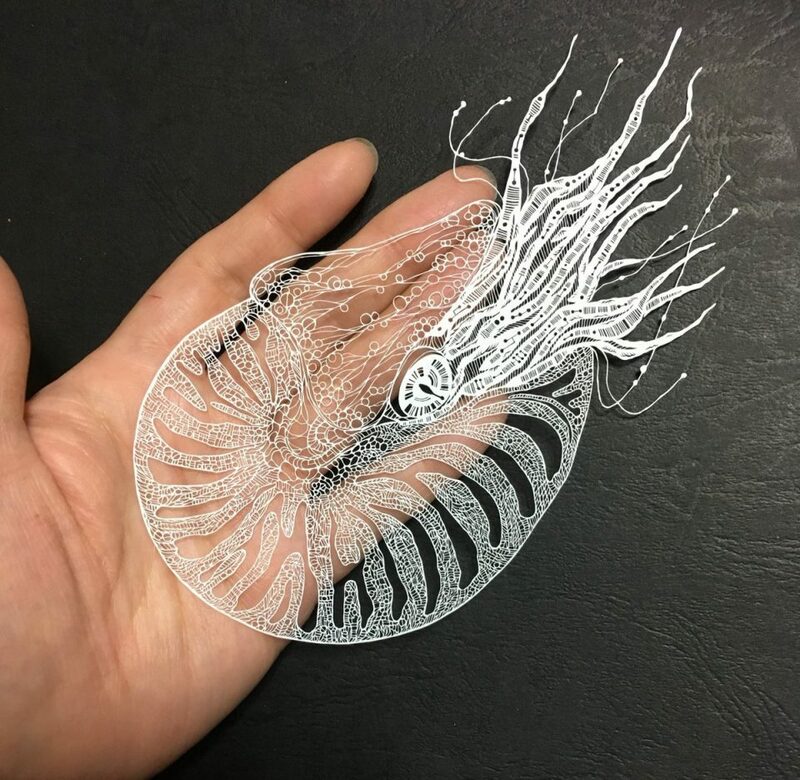 Sea creatures and other natural subjects become the slightest wisps of paper in these extraordinarily delicate and detailed paper cuts by artist Kiri Ken, who shares her work on Twitter. 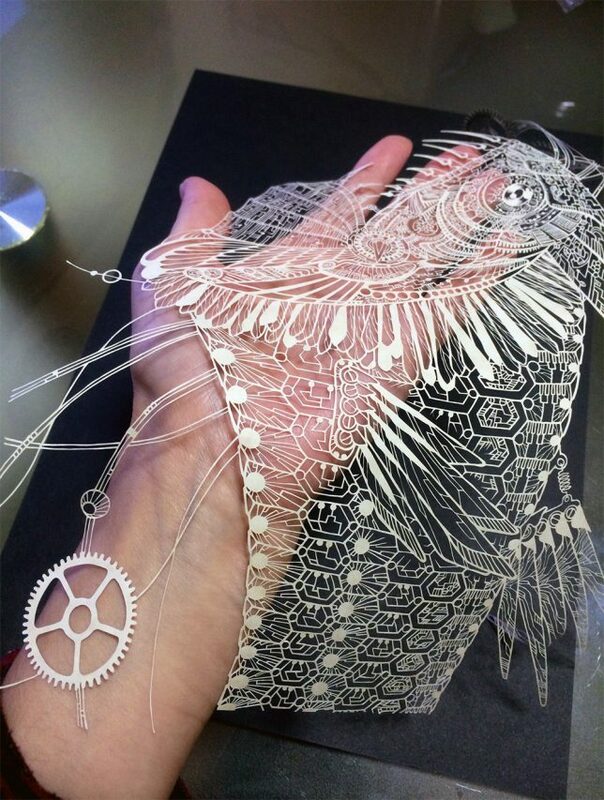 The creatures often become something slightly unnatural in the textures and lines Kiri applies to their various parts, sprouting mechanical objects or patterns that look computerized. 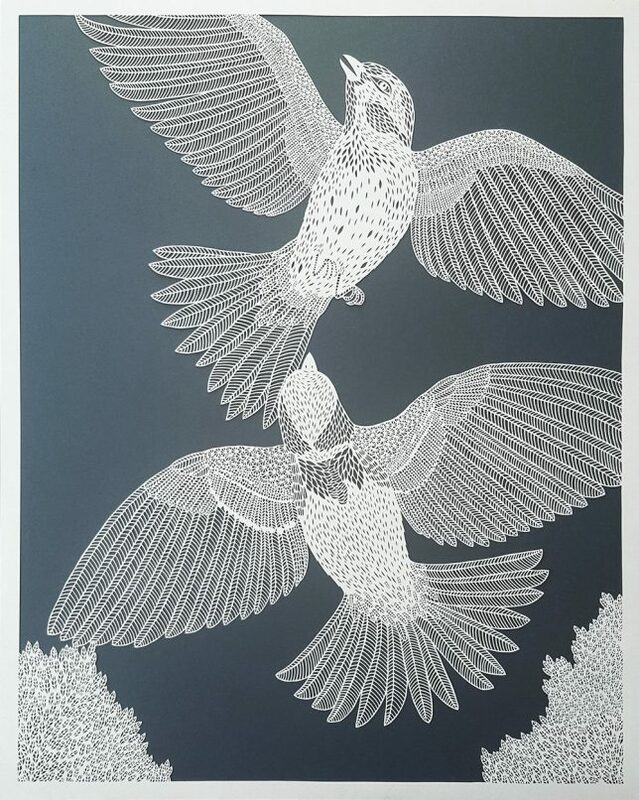 Each teeny-tiny feather on a kingfisher’s wing, each scale on the body of a goldfish, is cut out with seemingly endless patience and unfailing accuracy in works by Yorkshire-based artist and printmaker Pippa Dyrlaga. 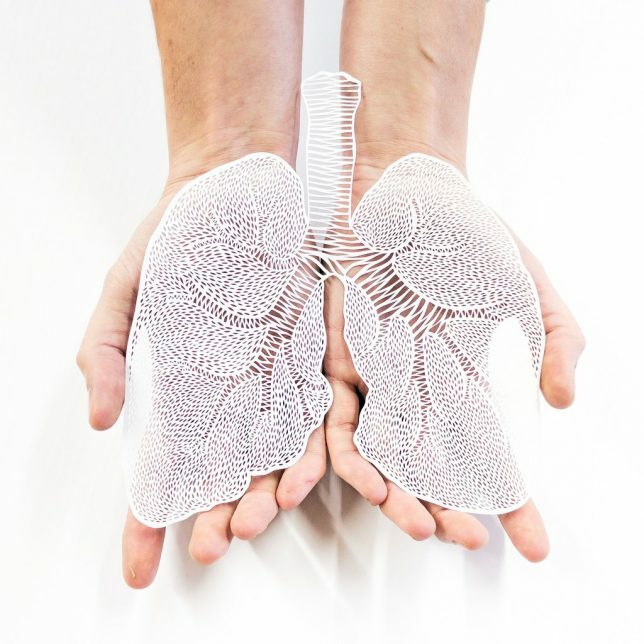 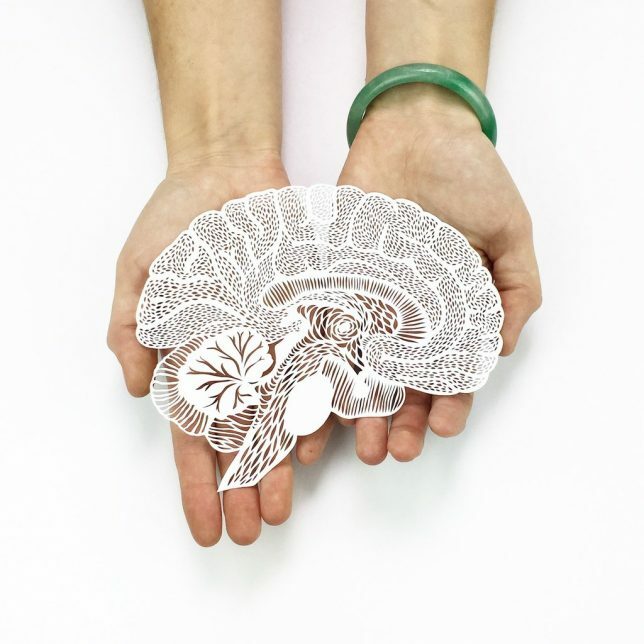 Ali Harrison’s versions of human organs are quite a bit prettier than the real thing, each one given surprising depth and heft despite being cut out of ordinary sheets of paper. 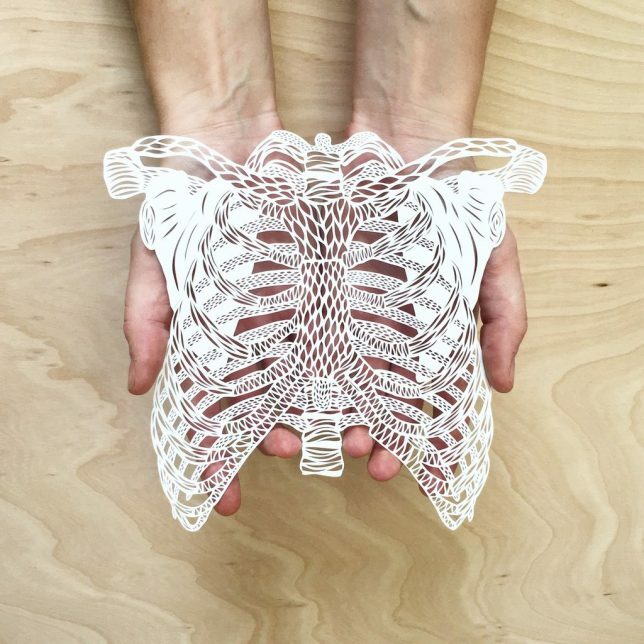 The artist designs each one and then laser-cuts them so they can be reproduced. 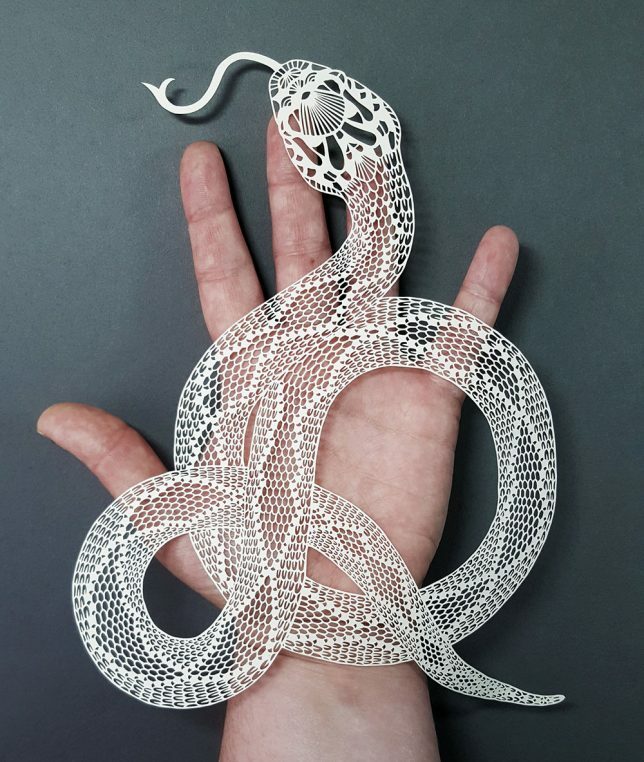 She sells them in her Light and Paper shop. 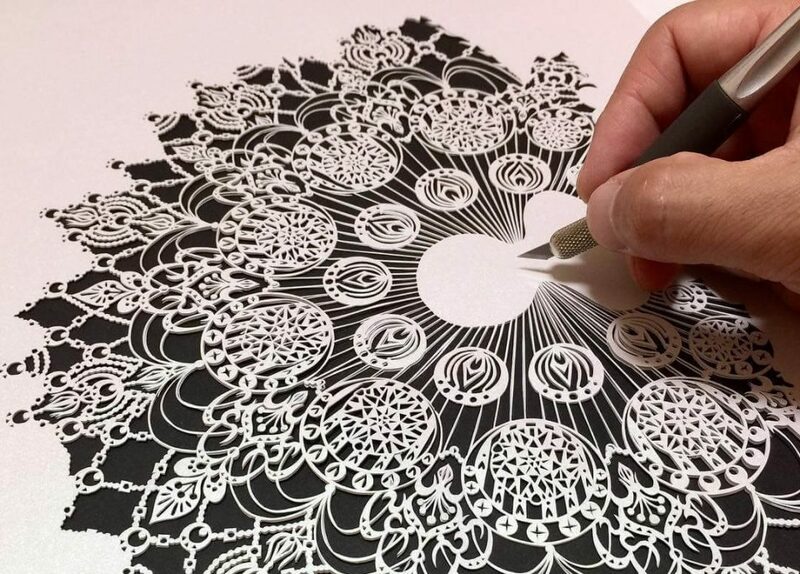 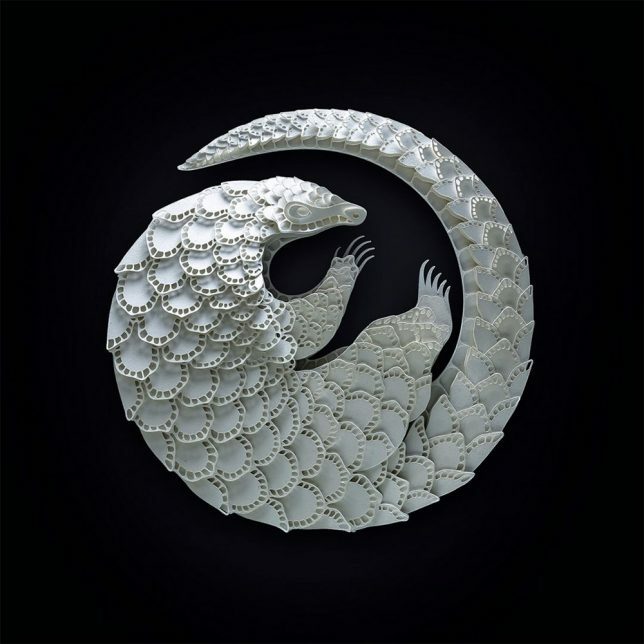 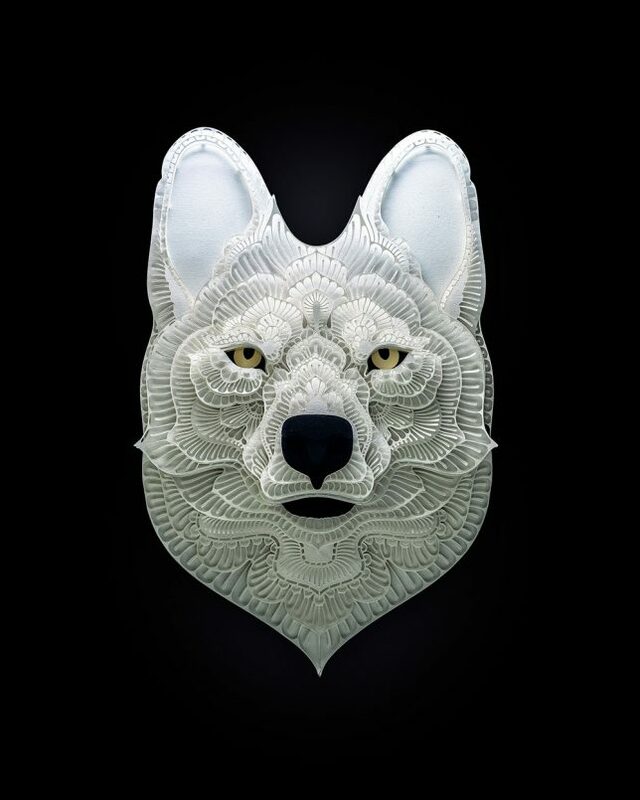 Wolves, elephants, pangolins, tigers, pandas and more are rendered starkly in black and white cut paper against a black surface, each layer of their lace-like faces and bodies cut by hand. 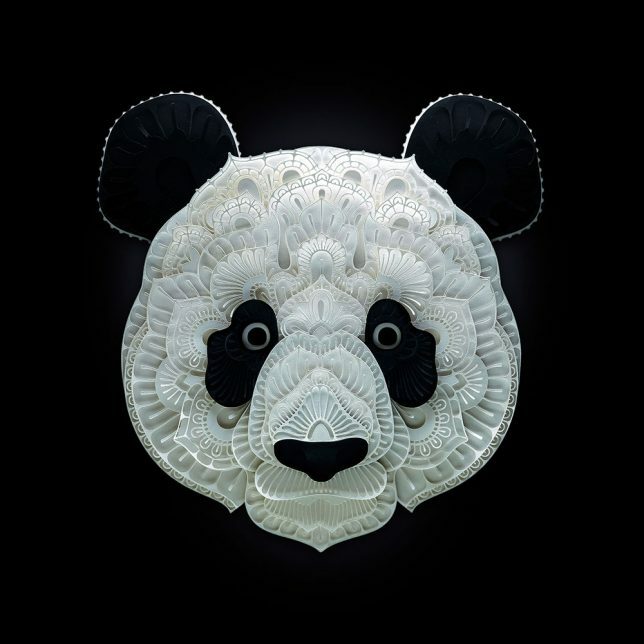 Manila-based artist Patrick Cabral donated half the proceeds from the sales of each of these endangered species to WWF Philippines.